The North Fork History Project was started by members of the NFLA who love and respect the oral and written histories of the North Fork. The purpose of this page is to exchange ideas about how that history might be captured and share some of the results. If you have questions or ideas about the North Fork History Project, please contact the committee chairperson, Lois Walker (lewalker@nvdi.com), or call 406-407-2791 and leave a message. The following documents are used to help prepare and conduct the oral histories for the project. Interview letter – The interview letter is sent to each interviewee before the scheduled interview to let the person know what to expect. Release form – A release form is needed in order to allow the NFLA to publish the interview and make it available to people interested in North Fork history. Interview questions – A list of possible questions are included with the interview letter to help the interviewee think about stories that she/he wants to tell. Interview list – The North Fork History Project has created a list of North Forkers who we would like to interview over the next few years. We are beginning our interviews with the oldest North Forkers. If you think of any others that should be on this list, please send an e-mail to: lewalker@nvdi.com. In celebration of the 40th anniversary of Thanksgiving dinner at Sondreson Hall, Pat Elliott wrote a short history in 2015 of this wonderful event. Read all about how the tradition of turkeys, the potluck, and the gathering of good friends began. And did you know that after the first Thanksgiving the tables were cleared and everyone danced? That would be a find tradition to reinstate. So, read here all about the first Thanksgiving Dinner at Sondreson Hall written by Pat Elliott. 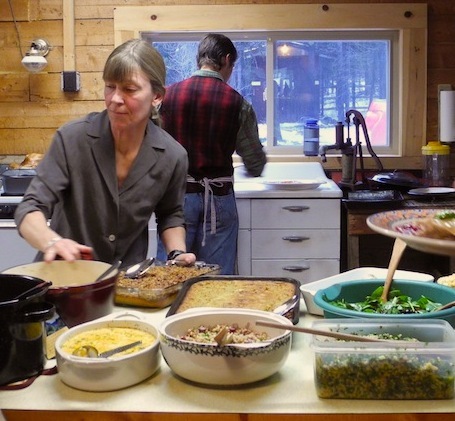 And click here to read about Thanksgiving 2015 including lots of photos. Look around in your trunks and attics and see what you can find in the way of North Fork history. That’s what one neighbor did and has shared it with us below. This is a letter from Ethel Newton to Lucille McIntosh on November 10, 1926. It’s full of gossip about what is going on in the lives of North Forkers. This is a letter from Dorothy McIntosh to her father on June 19, 1926. Here are a series of post cards that were sent from the North Fork in the early 1900s. Finally, here is a picture of the McIntosh Homestead in 1949 which was on what is the Wernick’s property today. Be warned, however, this file is over a MB. Here is a timeline of events that happened in the Flathead Valley starting in 1806 when Meriwether Lewis came up the Marias and looked southeastward toward Marias Pass where Highway 2 now runs. See the timeline here. And here is a brief synopsis of settlement in the North Fork Valley, specifically. See the synopsis here. 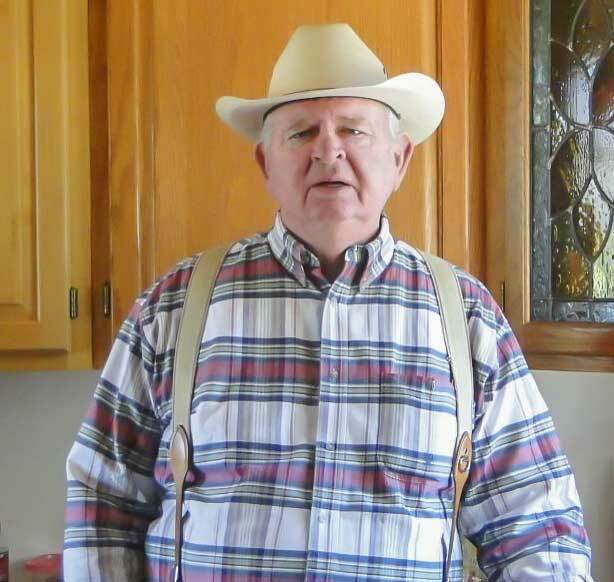 The following is an excerpt from Larry Wilson’s Hungry Horse News column on July 7, 2016 that provides some early history about Dan Block: Dan Block came to the North Fork in the late 1940s and he and his brother ran a commercial mink ranch at Trail Creek. 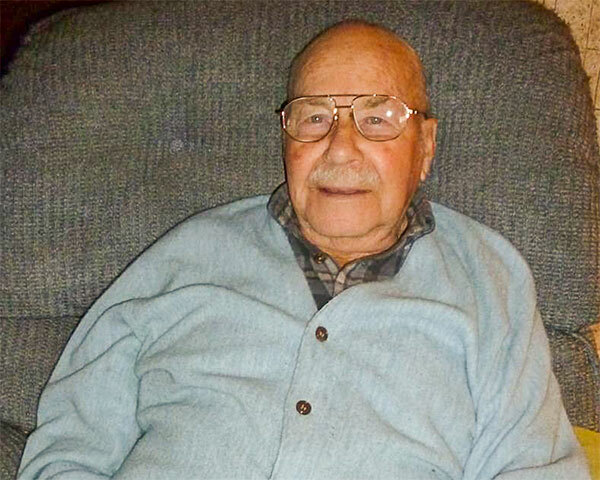 He and his wife, Gerane, were known in the 1950s as the North Fork’s handsomist couple — Dan, tall dark and handsome, Gerane, beautiful with long flowing red hair. I can remember one occasion at a community dance when everyone stood around the dance floor and clapped as they danced. Plus, they were just great folks and friends to all of their neighbors like the Holcombs and Tom Reynolds. Later he worked, obtained a college education and became a distinguished and much-loved professor at Western Montana College in Dillon. His background on the North Fork no doubt contributed to his being a pioneer in outdoor classroom teaching. Gathering stories on homesteaders – This is an article from Larry Wilson’s Hungry Horse News column on February 17, 2016 that provides some early history about Matt and Mata Brill. Beginning in the Fall 2011, members of the North Fork History Project began to record the oral histories of people who have lived in the North Fork for a long time. Esther was born in Illinois in 1927 to parents who were immigrants from Norway. She met her husband, Baird, in college and they were married in 1948. They started traveling west together to visit the Rockies. They visited their friends, Orville and Helen Foreman, who had purchased the Petersen homestead in 1948. Esther and Baird camped at Avalanche Lake and did lots of hiking in Glacier Park. They brought their son Allen to Montana in 1952 when he was three months old. They bought the Bart Monahan Homestead in 1958. They knew many of the original homesteaders. 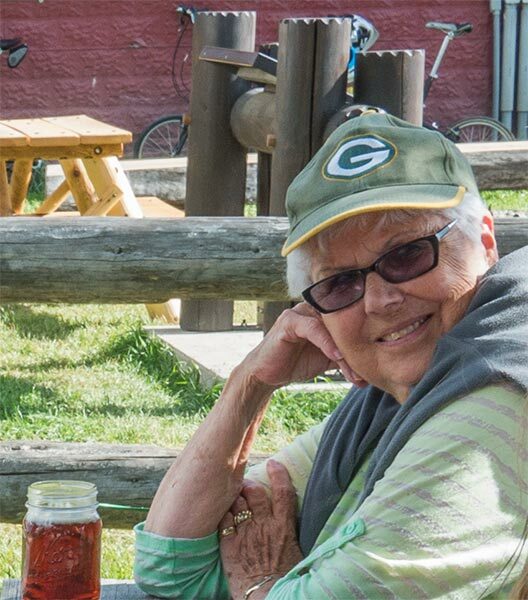 Esther Chrisman passed on July 30, 2016 in Kalispell. She had turned 89 on July 12th. She was much loved by North Forkers and will be missed. Esther Chrisman was interviewed by Debo Powers. Click here to download an MP3 file record of this interview. The file size is about 73MB and the interview lasts about 1 hour and 15 minutes. Click here to download a PDF transcript of this interview. Click here to read a wonderful document from the Chrisman family with memories of Esther. Click here to read a Hungry Horse News column by Larry Wilson that talks about his memories of Esther. 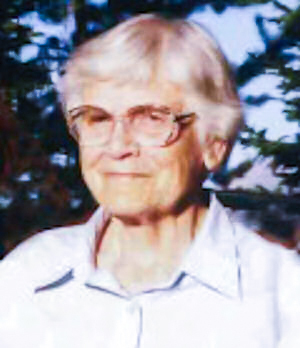 Lee Downes was born in Columbia Falls in 1928. His parents homesteaded about three miles north of Columbia Falls. Lee bought land near Cyclone in the North Fork in 1953 after serving in the military. Lee’s wife, Marietta, was born in Washington in 1936. Marietta passed away on January 17, 2016. Here is a copy of Larry Wilson’s Hungry Horse News column on January 27, 2016 with memories of Marietta Downes. Lee and Marietta Downes are interviewed by Tom Edwards. In this interview, they share their memories of living in the North Fork. Lee worked as a logger and part-time for the Forest Service. They grew a garden every year and had trouble with open-range cattle eating their produce. Click here to download an MP3 file record of this interview. The file size is about 46MB and the interview lasts about 50 minutes. Click here to download a PDF transcript of this interview. Lee and Marietta Downes are interviewed again by Tom Edwards. Click here to download an MP3 file record of this interview. The file size is about 57MB and the interview lasts about 1 hour. Click here to download a PDF transcript of this interview. Tom first came to the North Fork in 1952. His father, Burt Edwards was a ranger in Glacier National Park. 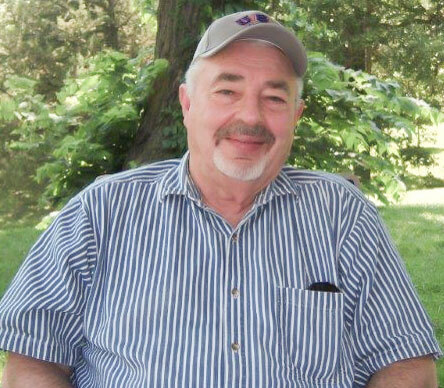 Tom spent his childhood summers with his family living at Logging Ranger Station near Polebridge. This interview was conducted by Debo Powers. In this interview Tom recounts growing up with young people from other families around Polebridge, including all the community square dances. He worked at Polebridge Mercantile and cut hay in the meadows around Polebridge that are now filled with cabins. Tom also describes the homesteaders who were still around in those early years. Tom’s parents, Burt and Thelma, bought an 160 acre homestead in the 1960s that was three miles north of Polebridge. They later purchased another 160 acre piece with the Maas’s located near Moose City. Click here to download an MP3 file record of this interview. The file size is about 48MB and the interview lasts about 52 minutes. Click here to download a PDF transcript of this interview. 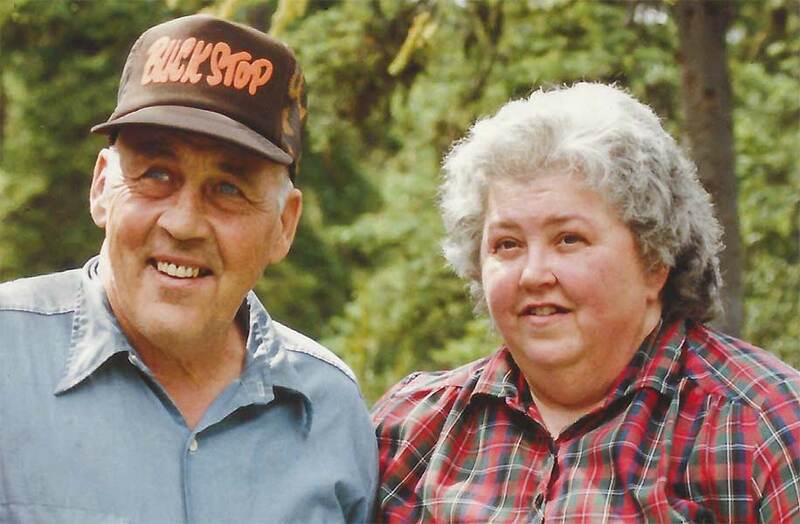 Bud and April’s parents, Frank and Edna Evans, bought the Panorama Ranch near Polebridge from Bill Adair in 1946. As children, Bud and April spent their summers in the North Fork and winters in Coeur d’Alene, Idaho. Frank had come from Illinois to work as a naturalist for Glacier National Park. He started a hiking concession in the Bob Marshall Wilderness. Edna came to Montana to work as a nurse in his business. They fell in love and married. The Panorama Ranch later became headquarters for their hiking trips in the Park. Bud & April Evans are interviewed by Debo Powers and Tom Edwards. Click here to download an MP3 file record of this interview. The file size is about 69MB and the interview lasts about 1 hour and 10 minutes. Click here to download a PDF transcript of this interview. John was born and raised in Ohio. He came to Montana in the mid-70s and bought the cabin in 1978 which became the North Fork Hostel. 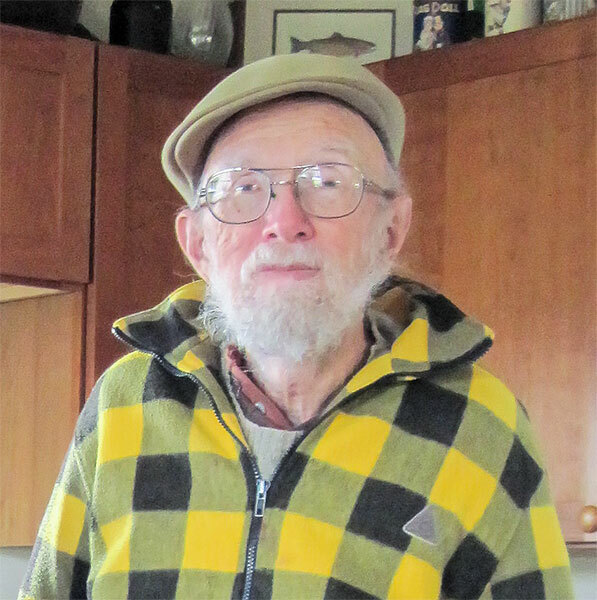 John was the founder of the North Fork Preservation Association which was formed to oppose the coal mines planned upriver in Canada and to oppose paving the North Fork Road. John is interviewed by Debo Powers. Click here to download an MP3 file record of this interview. The file size is about 63MB and the interview lasts about 1 hour and 5 minutes. Click here to download a PDF transcript of this interview. Bob passed away on March 11, 2018. 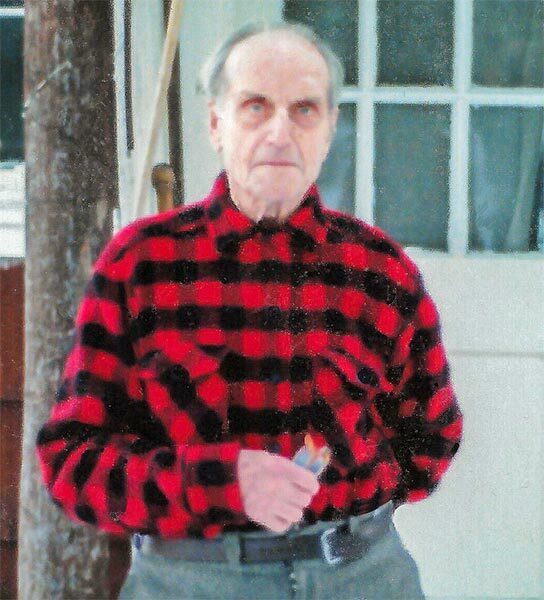 He was a long time North Fork resident with many stories to tell. Bob was interviewed by Don Sullivan. 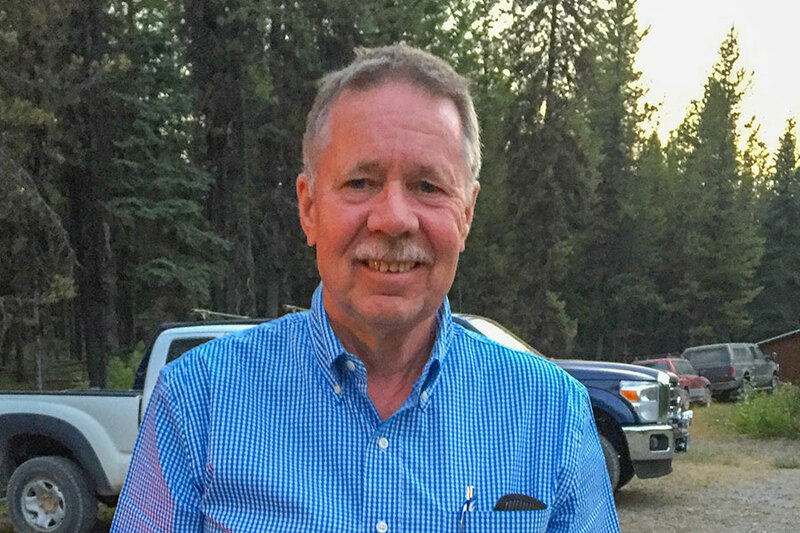 In this interview, Bob talks about how he first came to the North Fork in 1968 to do some bull trout fishing and goes on to talk about his experience on the North Fork. Click here to download an MP3 file record of this interview. The file size is about 48MB and the interview lasts about 50 minutes. 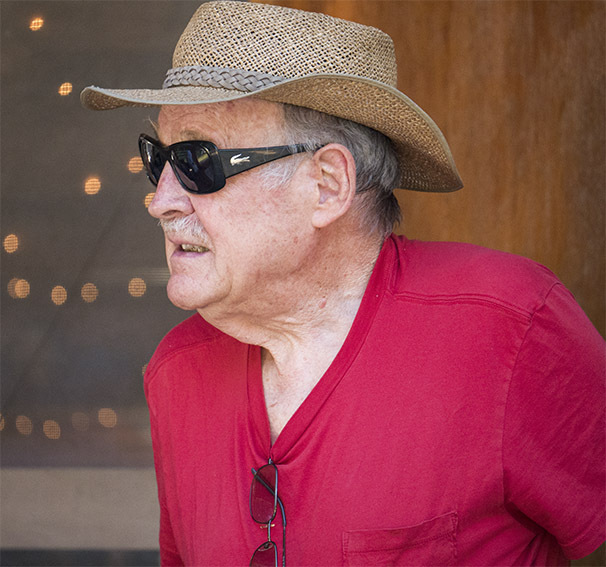 Ray was born in 1929 in Texas and began visiting the North Fork with his family in the early 60s, eventually buying Ralph and Esther Day’s homestead. Ray was interviewed by Debo Powers. In this interview, Ray tells about how his good friend, Bob Funk, came to the North Fork. In 1965, Ray and his family stayed in the Funk cabin and fell in love with the North Fork. Some of the homesteaders were still here at that time. Click here to download an MP3 file record of this interview. The file size is about 68MB and the interview lasts about 1 hour and 14 minutes. Click here to download a PDF transcript of this interview. October 17, 2016 – Here is an article from the New Yorker about the influence that Frank and John Craighead had on shaping current environmental attitudes for not only the West but the North Fork in particular. 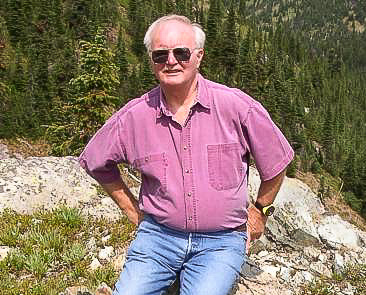 As a consequence, Ray Hart wrote this tribute to Bob Funk who worked with the Craigheads to secure the Wild and Scenic River status for the North Fork. 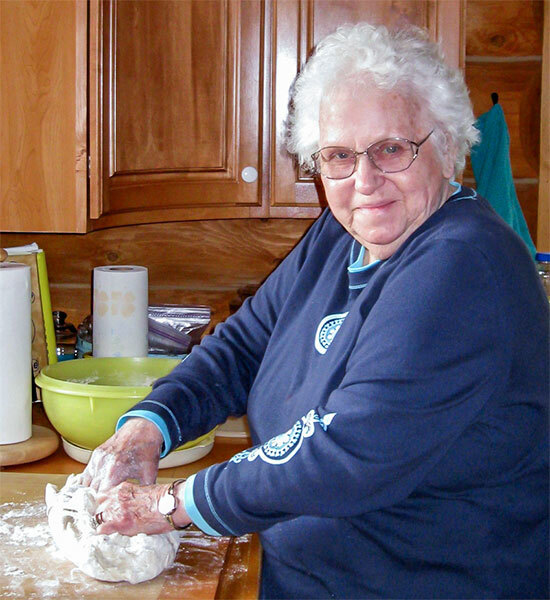 Fern was born in Northwest Texas in 1928 and came to the North Fork for the first time with her husband Ray Hart and two sons, Morgan and Bracken, in the early 60s as guests of Robert Funk who had the old school house cabin near Ford Flats. With the help of Loyd Sondreson, the Harts eventually bought the nearby homestead of Ralph and Ester Day. From then on, they came to the North Fork every summer to square dance, hike, float, and above all fly fish. 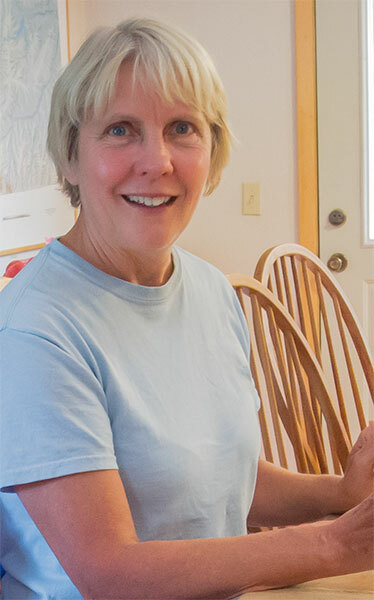 Fern was interviewed at her home in Missoula by Annemarie Harrod. She tells what it was like for a young mother from Texas living on the North Fork in the 60s, floating the river, dealing with critters in the cabin, and going to town once a month for supplies and laundry. Click here to download an MP3 file record of this interview. The file size is about 30MB and the interview lasts about 30 minutes. Gary first came to the North Fork in 1948 when he was two years old with his parents to live at the Wurtz Homestead. His grandfather had homesteaded the property in 1910 and had “proved up” by 1913. Gary’s grandparents arrived at the property with their 10 month old daughter (Gary’s mother) after traveling a week on the Inside Road to get there. Gary has written a book called Wilderness Homestead based on his grandmother’s notes. Gary grew up in the North Fork and recounts events that happened during that time. This interview was conducted by Debo Powers. Click here to download an MP3 file record of this interview. The file size is about 28MB and the interview lasts about 30 minutes. Click here to download a PDF transcript of this interview. Richard first came to the North Fork in 1958 as a 12-year old boy from Illinois with Orville and Helen Foreman. He spent the summers of his youth with them at the Foreman’s Sawtooth Ranch. This interview was conducted by Debo Powers. This interview contains delightful stories and descriptions of the original homesteaders many of whom were still around at that time. Richard also recounts watching the explosive start of the Red Bench Fire from a small plane and being left in charge of defending Polebridge from the fire’s onslaught. Click here to download an MP3 file record of this interview. The file size is about 75MB and the interview lasts about 1 hour and 22 minutes. Click here to download a PDF transcript of this interview. Naomi was born in a log cabin in 1935 on Half Moon Lake near Belton. She first came to the North Fork when she was four years old and started school a year later at the Ford schoolhouse. She has fond memories from that time. She was raised by her grandparents, Ruth and Bert Conn and they lived near the Holcolms. Her Grampa Bert worked seasonally for the Forest Service as a smoke chaser, lookout, and on the trail crew. She knew many of the original homesteaders. Naomi was interviewed by Karen McDonough. Click here to download an MP3 file record of this interview. The file size is about 43MB and the interview lasts about 45 minutes. Click here to download a PDF transcript of this interview. Joe was born in 1932 in rural northeast North Carolina. During one of their summer vacations in Glacier National Park, they decided to look for land in the North Fork. The first time they came up the North Fork Road was in 1981 when they first saw the property that they had purchased during the winter…. sight unseen. His daughter, Maggie, who now owns the Hohnberger place, was only in junior high at the time. Joe and his family fell in love with the North Fork and spent their summers here until 1996. Joe worked as the official at the Border Crossing Station starting in 1991 until the border was closed. Click here to download an MP3 file record of this interview. The file size is about 50MB and the interview lasts about 52 minutes. Cecily was born in San Francisco, California in 1923. 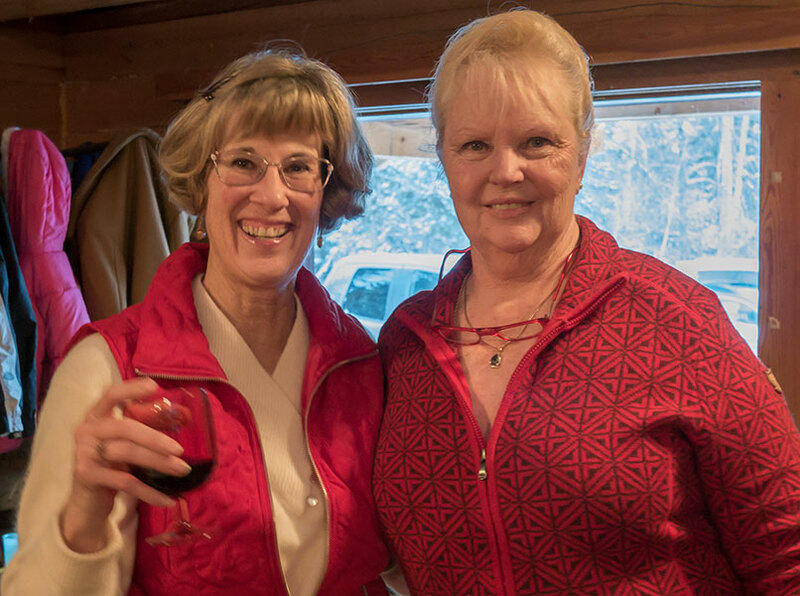 She came to the North Fork from Chicago and purchased a cabin in Glacier National Park near Dutch Creek. She and her husband later bought property in the North Fork in 1959. Cecily was interviewed by Annemarie Harrod and Karen McDonough. In this interview, Cecily describes the North Fork fifty years ago. She remembers many of the homesteaders and early residents. She was president of the North Fork Improvement Association in 1977. 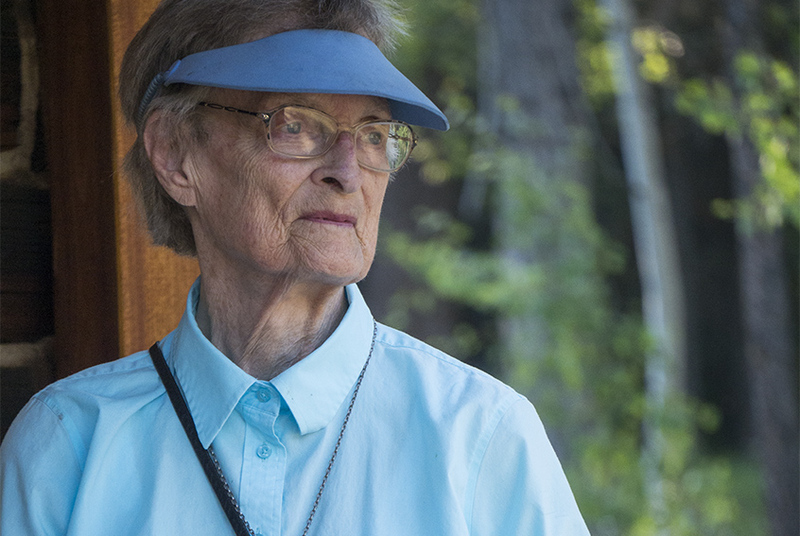 She worked to get a zoning petition and helped to found the North Fork Compact in 1973 in an effort to save the North Fork from development. Click here to download a PDF transcript of this interview. Mac was raised in Indiana outside of Chicago and became a physics professor. 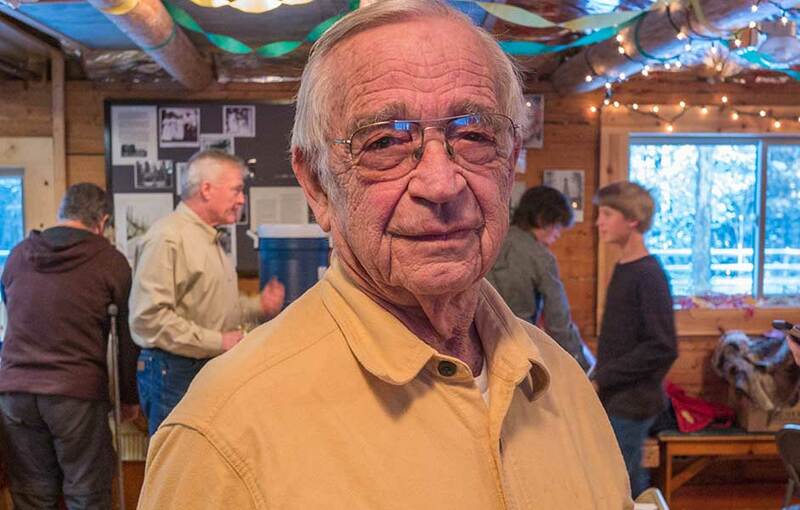 Ed ‘Mac’ McNeil passed away on Sunday, February 8th, 2015 in Kalispell. You can also read Edward Bowen McNeil’s Obituary. This interview was conducted by Tom Edwards and Annemarie Harrod. 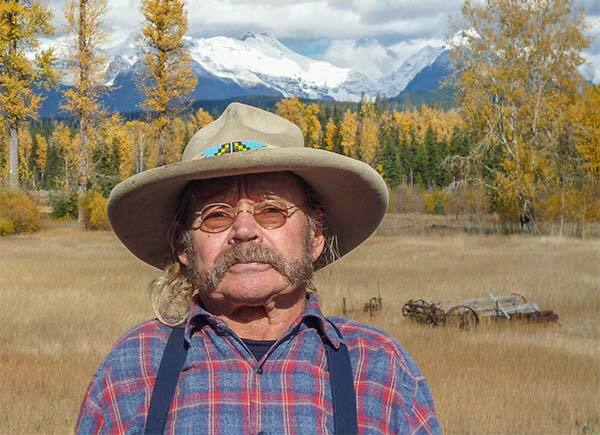 In this interview Mac talks about how he and his wife, Cecily, bought land near Dutch Creek in Glacier National Park in the early 60s. They later bought 103 acres and built a cabin on the other side of the river near Moose Creek and lived there during the summers. Click here to download an MP3 file record of this interview. The file size is about 50MB and the interview lasts about 53 minutes. Click here to download a PDF transcript of this interview. George MacFarland’s family purchased their property on Big Prairie within the boundaries of Glacier National Park in 1942. George was interviewed by Gary Haverlandt and Jan Caldwell. In this interview, George’s first recollections on the North Fork were as a teenager in the mid-40s. He remembers many of the original homesteaders and the square dances at the McFarland Ranch. His dad was the first president of the North Fork Improvement Association. Click here to download an MP3 file record of this interview. The file size is about 60MB and the interview lasts about 1 hour and 5 minutes. Click here to download a PDF transcript of this interview. Linda was raised in the Mohave Desert of California and Carl was born and raised in Oklahoma. Carl was a teacher and they had summers free, so they came to the North Fork in 1964 looking for land where they could spend summers. They built a cabin and spent time floating the river and fishing. Carl passed on December 2, 2015, at his home in Newberg, OR. This interview was conducted by Linda Nelson and Gary Haverlandt. 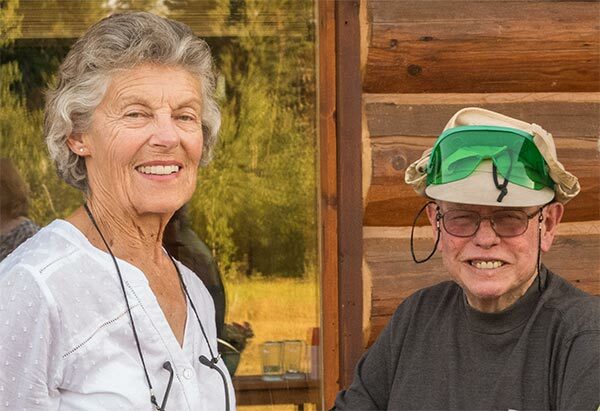 In this interview, Carl and Linda remember many of the early residents in the North Fork, the square dances at the Community Hall, picnics, hiking, and picking huckleberries. 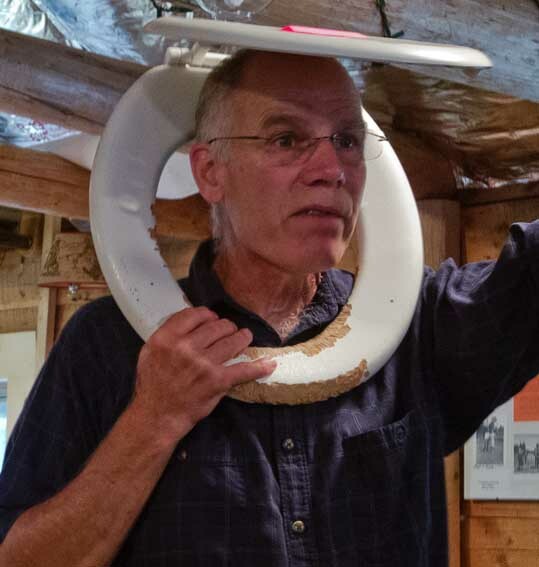 Carl even tells about an outhouse joke that he used to play on visitors. Click here to download an MP3 file record of this interview. The file size is about 48MB and the interview lasts about 50 minutes. Click here to download a PDF transcript of this interview. Pat’s family goes back to the earliest homesteaders. His grandfather came west in 1878. He bought the Jarvis Homestead on Highway 2 near Columbia Falls. While exploring for coal deposits in the North Fork in 1887, his grandfather named Fool Hen Hill. He filed coal claims on Coal Creek. In 1901 when oil was discovered at Kintla Lake, Pat’s grandfather worked on the Inside Road. 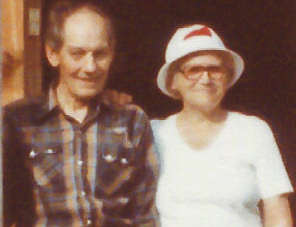 Pat’s Uncle John was one of the first North Fork homesteaders. He homesteaded a place on the southside of Big Prairie in 1906. After proving up the homestead in 1909, the Kintla Post Office was located there. Pat’s Aunt Harriet was the post mistress. Pat first came to the North Fork in 1950 as a five year old child. This interview was conducted by Debo Powers. Click here to download an MP3 file record of this interview. The file size is about 46MB and the interview lasts about 50 minutes. Click here to download a PDF transcript of this interview. Larry was born in 1937 in Kalispell, Montana. He first came to the North Fork during WWII when he was four or five years old and camped with his family at the mouth of Whale Creek. 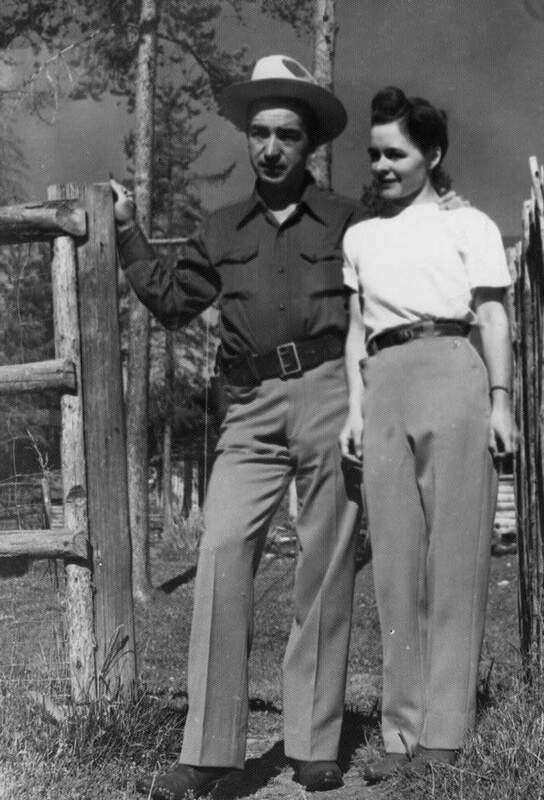 In 1947, his family bought the Kintla Ranch and ran it as a dude ranch until 1953. Larry was interviewed by Debo Powers. In this interview, Larry talks about how he spent his summers growing up in the North Fork and knew many of the homesteaders who he talks about in his interview. After his family sold the Kintla Ranch, he was the caretaker and made enough money to purchase the property where he now lives. Click here to download an MP3 file record of this interview. The file size is about 76MB and the interview lasts about 1 hour and 24 minutes. Click here to download a PDF transcript of this interview. 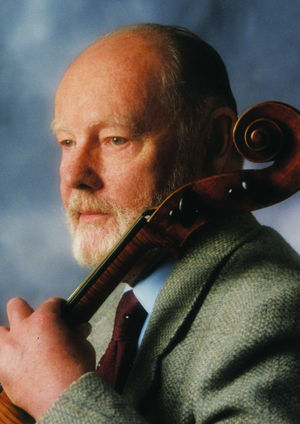 Ivan Andrew Windsheimer was born Dec. 1, 1920, in Gurley, Neb. Ivan was the oldest of 12 children born to Fredrick and Helen Dykman Windsheimer. His paternal grandparents, Michael Andrew and Margaret Long Windsheimer, were both born in Germany and came to the United States in the 1850s. Ivan was a machinist mate 2nd class in the Navy. He married Mary Ellen McCall in 1944 at the Naval Air Technical Training Center in Chicago. Ivan and Mary lived in Washington and Montana most of their married life. Ivan worked as a dairyman and had his own herd near Arlington, Wash., for many years. He moved his family to Kalispell in 1964 to manage the Grosswiler dairy, which was the largest dairy in the state at the time. He later worked for Plum Creek in Kalispell, from which he retired. Ivan dismantled a cabin in Glacier Park and eventually rebuilt it in Polebridge, where he and Mary spent much time and made many close friends over the years. Ivan passed away on March 11, 2012, in Kalispell. Most of this biographical information came from Ivan’s obituary in the Daily Inter Lake. You can read that complete article from here. This interview was conducted by Linda Nelson. In this interview, Ivan talks about how had a cabin in Polebridge and describes Polebridge and the Polebridge Mercantile fifty years ago. Click here to download an MP3 file record of this interview. The file size is about 40MB and the interview lasts about 44 minutes. Click here to download a PDF transcript of this interview. The History Committee invites all North Fork writers (and we have a lot of them!) to submit stories about North Forkers that have lived in the past. The Bart Monahan homestead in the North Fork became ours in the summer of 1958. Bart had spent his last two years in the County Home. His small 10’ x 14’ cabin with a 10’ x 12’ dirt floor porch was trashed. The roof leaked, the door was broken in, and a bear had hibernated in his root cellar. It was disheartening for us. The neighbors all came to see what we had purchased. 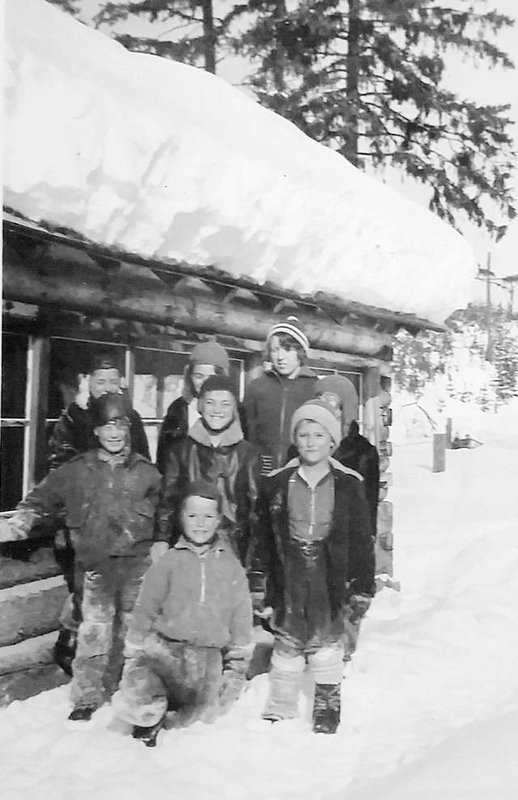 We thought the little cabin was past redemption until Ma Holcomb suggested “You would be surprised what a little whitewash would do!” Ma and Pa were dear to us and most of the North Forkers. They were so quick to help, provide whatever they could, and feed any and all who came to their door. We were new and gladly learned from them how to live in this remote area. Their first advice was to cut an escape road to the river. We had only one way in and out of our place. Download the complete story The Bart Monahan Homestead from here. Tom Reynolds lived about five miles north of our mailbox. He had been portrayed as an Englishman who did not welcome guests. His notoriety came from the fact that he came to the North Fork as a friend of Billy Kruse. 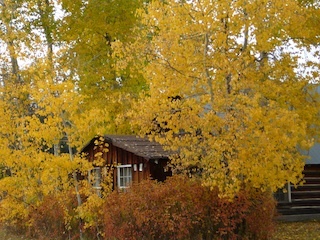 Billy Kruse was shot at what was referred to as the “Madame Queen” cabin. This cabin (house of ill repute) was built on five acres of the homestead that our friends, the Foreman’s, purchased from Ed Peterson. We met Ed. He was a mild-mannered gentleman who had homesteaded and lived there with his brother Emil. What a shock to learn he was the man who shot Billy Kruse. He was cited, not for shooting Billy, but for leaving him there to bleed to death. As far as I could learn, Ed was never prosecuted. Homesteaders were needed up there. Download the complete story Our Friend Tom from here. I became interested in North Fork history from listening to stories by Burt and Thelma Edwards. They lived in a homestead cabin three miles north of Polebridge on the west side of the North Fork Road. I would sit for hours and listen to their stories. I wrote these two short stories while they were still alive. I read the draft stories to them and they corrected some of the details which helped a great deal in the editing process. Four woman backpackers must have been quite a sight in 1929. Their broad hats kept the sun off their faces as they posed for a picture at snow-covered Logan Pass. Nurses were considered a wild bunch in those days and I suppose it was true, because here they were on a two-week backpacking trip into the heart of Glacier National Park in Montana. Backpacking was not a common thing for women to do in 1929. Actually, it was not a common thing for anyone to do. In those days, people usually traveled through the wilderness on horseback. It wasn’t until many years later that backpacking became a popular sport and even a few decades ago, it was unusual to find women backpacking, especially without the company of men. Download the complete story about The Wilderness Woman from here. I must have missed the Loop Trail, Burt thought, it is so dark that I can hardly see anything. Maybe I’ll just keep going the way I’m heading and hike out that way. Burt’s flashlight had burned out a while back. He stopped for a moment to catch his breath and get his bearings. He thought back over everything that had happened since he woke up at dawn. He had put in a hard day’s work on the pipeline at Many Glacier. As he worked, he couldn’t get Thelma out of his mind. She would be leaving for Inter-Mountain Union College on Monday and this weekend was the last time that he could see her until Christmas. How can I get from Many Glacier to Kalispell without a car? He pondered. Slowly a plan began to form in this mind as he worked on the pipeline. If I hike over Swiftcurrent Pass to Granite Park and out the Loop Trail to the Sun Road, I can hitch a ride to Belton and catch the train at 8am tomorrow morning. But can I hike that far in time? It would be relatively easy in daylight, but can I do it at night after a hard day of work? Download the complete story about The Smoke Chaser from here. May 17, 2017 – From Larry Wilson’s column in the Hungry Horse News: Nonie’s Schoolhouse History. It says… The Ford School was the only school Nonie ever attended, and the land for the school was donated by her stepfather Ralph Day. The school was built by the community, just like the Community Hall years later. 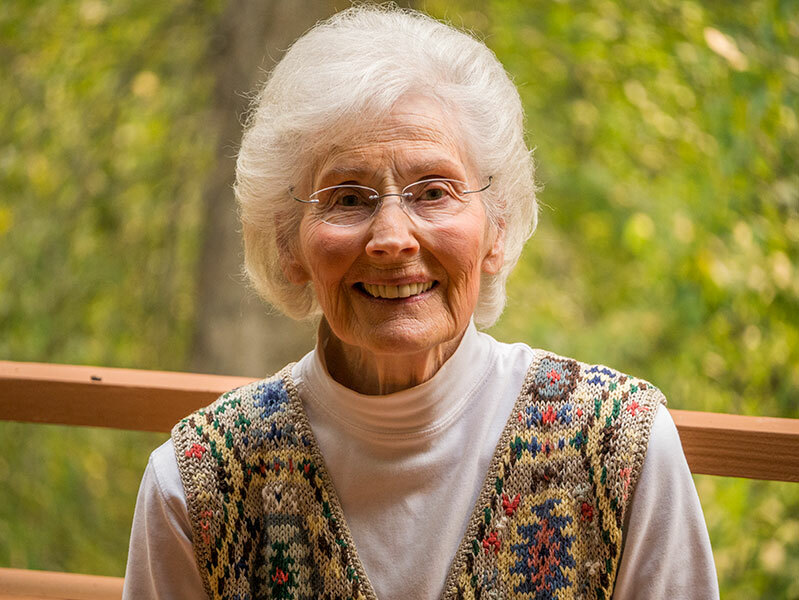 Nonie started school when she was 6 in 1934, but she can’t remember what year it was built. Read Larry’s full column here. May 31, 2017 – From Larry Wilson’s column in the Hungry Horse News: Life on Kintla Ranch. It says… My folks purchased the Kintla Guest Ranch from Matt Brill in 1947 and my mother became the de facto general manager. My dad, Ross Wilson, was working full time as the District 1 Supervisor of Montana Fish and Game and was only present on his days off. Read Larry’s full column here. May 13, 2017 – The Daily Inter Lake published an article about the Inside North Fork Road in Glacier National Park that included some good history of the road. Click here to get a copy of that article. Click here for all the latest news from the North Fork History Project. I think you should interview Wynonna Mathison. She lives in Kalispell. She is the daughter of Ester Day and the grandaughter of the Holcombs. She is 87. She has lots of stories of growing up on the North Fork. I lived in Belton 1946 through1950 and remember the homesteaders coming to our school to obtain the years lessens for home schooling because both the inside and outside roads were not plowed.